ITM IT Asset Management is a web-based asset management solution designed to help businesses monitor and manage assets within their network. The arena for asset tracking is rapidly spreading from an industry that was largely reserved for technical administrators, to being part of the data set that drives key decisions in a wide array of industries and verticals. ITM Asset Management aims to equip businesses with an innovative asset management solution, with compliance requirement and asset auditing to identify bottlenecks and make informed decisions. To aid with IT asset tracking and inventory control ITM IT Asset Management provides users with a range of features including a service desk, incident management, a Android mobile App for scanning and tracking assets, automatic warranty checks, and offline asset tracking using Beacon. With customer satisfaction as their motto, ITM endeavors to acquire key position in the IT asset management space by delivering quality IT asset management services and advanced features all within one platform. There are currently no reviews of ITM IT Asset Management. Asset management and tracking throughout the entire lifecycle and a database of maintenance history. License management to track user based and device based licenses with alerts for when updates are due. Ticketing tools which allow users to manage customer queries or complaints and track the status of open tickets. Barcode and QRCode functionality to generate, print, and scan barcodes for tracking inventory and assets. Barcodes can be scanned from any mobile device. Detail reporting which allows users to generate customized reports on metrics such as unused licenses and depreciation. Below are some frequently asked questions for ITM IT Asset Management. Q. What type of pricing plans does ITM IT Asset Management offer? Q. Who are the typical users of ITM IT Asset Management? Q. 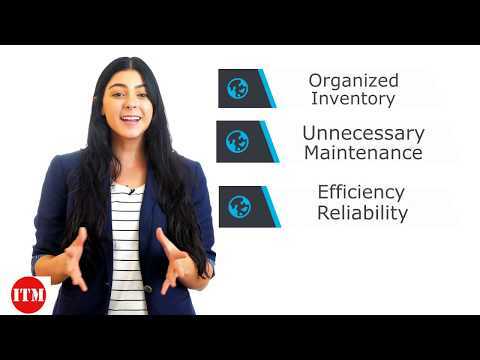 What languages does ITM IT Asset Management support? Q. Does ITM IT Asset Management support mobile devices? Q. Does ITM IT Asset Management offer an API? No, ITM IT Asset Management does not have an API available. Q. What other apps does ITM IT Asset Management integrate with? Q. What level of support does ITM IT Asset Management offer?